Celebrating the dedication of family caregivers during Asian American Pacific Islander Heritage Month. The question wasn’t whether or not I would do this—it’s whether I was prepared enough or not. You have always been there for me—and now I will be there for you. The values you taught me inspired me for this important moment. And with the right guidance, support, and preparation, I know that I am not in this alone. Though our roles may have changed, one thing remains the same—we are stronger, together. And whatever it takes, I will be ready. AARP recognizes family caregivers and all that you do for your loved ones. Being ready to care for a loved one takes time, planning, and support. With AARP’s variety of Caregiving resources, including the documentary Caregiving: The Circle of Love and the Prepare to Care planning guide, you don’t have to go through this alone. Visit aarp.org/aapi or call 1-888-388-0303 today. HELLO! 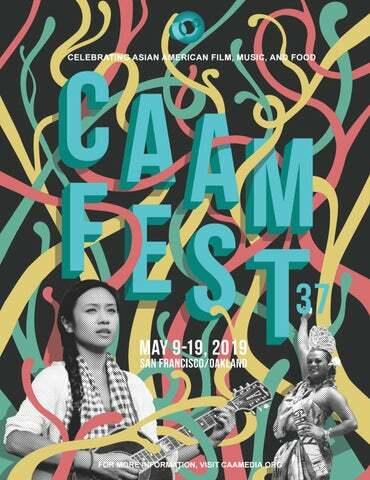 On behalf of the CAAM staff and board, we warmly welcome you to CAAMFest37, the nation’s largest showcase of Asian American film, music, food, and performance arts. As you go through our program guide, we hope you discover programs and events that pique your interest. We also recommend going to our website — caamedia.org — for more film details, guests in attendance, and added programs. CAAM’s mission has never been more clear and vital as we approach our 40th anniversary next year. We support and showcase the richness and diversity of Asian American communities through compelling media and in-person experiences. During the heart of Asian Pacific American Heritage Month, we are thrilled to showcase so many stories from our communities and amplify the vital voices of our filmmakers and artists. Our 11-day festival encompasses more than 120 film screenings and events in over 15 venues throughout San Francisco and Oakland. At a time when civic engagement is at its most necessary and crucial, we are ecstatic to open our festival with the world premiere of Harry and Josh Chuck’s CHINATOWN RISING. It’s a film 40 years in the making with never-before-seen photos and archival footage that capture the birth of Asian American social activism and its progression to where the community is now. This beautiful and empowering film sets the perfect tone for CAAMFest, along with our Opening Night Gala at the marvelous Asian Art Museum. And that’s just the start! As we all know, representation matters, and Asian Americans seem to be enjoying a moment in the spotlight. This is due to the efforts and hard work of scores of filmmakers, writers and actors, and through the interest and support you’ve brought to our festival over these many years. CAAMFest37 promises to be as rich, unique, vital and inspiring as ever. And if you’re a CAAM fan already, then this is the time to introduce our work to your family, friends and colleagues, and urge them to come out and join the fun. Lastly, we want to extend a thank you to our wonderful members, whose support keeps our gears turning throughout the year, and to our Presenting and Grand Sponsors — Comcast Xfinity, AARP, the Asian Art Museum, and the Hong Kong Economic and Trade Office. See you at the festival! filmmakers as well as a vital source for new Asian cinema. bridging conversations about inclusiveness and social equity. and dialogue about the rich history and diversity of Asian people in the U.S.
CHINATOWN RISING HARRY & JOSH CHUCK / USA 2019 / 110 MINS THUR MAY 9 | 6:30PM | CASTRO Come join us for the World Premiere of Harry and Josh Chuck’s CHINATOWN RISING, a love letter to San Francisco’s vibrant Chinatown. This marvelous and inspirational film weaves together never-beforeseen photographs and archival footage to chronicle key Chinatown community leaders who started an activist movement during 1960s, and today’s battles for social justice and equality. Celebrate the kickoff of CAAMFest37 with fellow revelers after watching CHINATOWN RISING at our Opening Night Gala at the Asian Art Museum! Dine, drink, dance, and discuss as you indulge in what CAAM does best — art, music, and food. Experience delectable culinary creations from Bay Area favorites, including Boba Guys, Dumpling Time, Magnolia Ice Cream, and Socola Chocolatier. Sway to sweet, upbeat sounds from local DJs and soak in the visual riches of the museum’s exhibitions on view. THUR MAY 16 | 9:00PM | PIEDMONT Rose Garcia was born to be a star. She’s an aspiring country singer in the heart of Texas when a life-changing event forces her on an unexpected journey flush with love, loss, and music. Deftly directed by Diane Paragas, in her feature film debut, starring Broadway icon Lea Salonga and rising Broadway star Eva Noblezada in a breakout role, YELLOW ROSE is a Filipino American musical like no other. in an environment where the healthcare system is stacked against him. As his health continues to deteriorate, DaSilva exposes the many inaccessible spaces and systems that able-bodied people take for granted. GEOGRAPHIES OF KINSHIP reveals the history of international adoption through the powerful stories of Korean adoptees. The powerful documentary traces the legacy of war and political upheaval on vulnerable members of a traditionally patriarchal society. The film reveals the repercussions of transnational adoption, exploring issues around identity, family, and nationality, all through the lens of intimate, emotional personal journeys. Emmy Award-nominated filmmaker Deann Borshay Liem is one of CAAMFest 2019's Spotlight Honorees. CAAMFest is thrilled to honor auteur Deann Borshay Liem as one of our 2019 Spotlight Honorees. Equally respected as an award-winning filmmaker as well as a pioneer storyteller for Korean adoptees worldwide, Liem has made an indelible mark in the documentary landscape. CAAMFest37 is delighted to present the World Premiere of her newest film, GEOGRAPHIES OF KINSHIP as our Closing Night Presentation. Also included in Liem’s spotlight is a 20th anniversary look back at her Emmy Award-nominated documentary, FIRST PERSON PLURAL. Fearless, inventive and outspoken are a few words to describe CAAMFest37 Spotlight Honoree Valerie Soe. From the 80’s to now, Soe’s films and video installations have been a benchmark for Asian American feminist activism and experimental storytelling. CAAM will proudly showcase Soe's newest documentary, LOVE BOAT: TAIWAN and present a special event in partnership with the Asian Art Museum with special guest, Comedian and Performance Artist, Kristina Wong. The AAM Event includes DETOURING ASIA/AMERICA WITH VALERIE SOE (MILA ZUO / USA 2018 / 14 MINS). one of the most decorated Asian American films in cinematic history. ues to woo audiences with its stunning visuals and masterful storytelling. PACIFIC SHOWCASE CAAMFest celebrates our 7th Pacific Islander Showcase with our National Minority Consortia partner, Pacific Islanders in Communications. Through these vibrant films, journey through the Pacific Islanders and explore topics from LGBTQ rights to the detrimental impact of tourism. CAAMFest37 is proud to celebrate the achievements by visionary women in front and behind the camera. From our two spotlight honorees to every section in our festival, women storytellers and artists are breaking new grounds and redefining the media landscape. Thanks to the support from the Hong Kong Economic Trade Office (HKETO), we shine a global lens to this current movement and celebrate Hong Kong women directors, producers and actors. and themselves as they chase their dreams. death. The program will also include appreciations by CAAM, friends and former colleagues, and members from the Asian American and independent film communities. in China that made her family’s fortune. out on a journey to figure it out. freedom and against racial profiling. ity of the decades-long redress movement. a light on the NFL’s lesser-known performers. American community beginning in the 1990s. legacy of San Francisco’s late mayor, Edwin Lee. that includes firebombings and KKK rallies. had on the Asian American community. We invite you to join us at CAAMFest 2019’s Filmmaker Summit to connect with Asian American documentary filmmakers, media organizations and community leaders to discuss trends and issues, and be inspired to make positive change in the world. Since our inaugural Filmmaker Summit at CAAMFest 2018, we have launched a new Fellowship Program, created a development fund for social issue documentary and published a report on Asian American storytellers in the South. The Fellowship Program — created in partnership with A-Doc, the Asian American Documentary Network — has an incredible initial group of fellows and mentors. We are excited to showcase their expertise and talent at this year’s Filmmaker Summit. Mentors will be leading sessions on critical areas of filmmaking including fundraising, producing, editing and relationship building. Fellows will have an exciting opportunity to pitch their projects at the Ready, Set, Pitch! Forum that’s making a return at CAAMFest 2019. CAAM has been able to nurture Asian American makers, provide resources and cultivate new partnerships to build infrastructure that can accommodate growth because of the support of the John D. and Catherine T. MacArthur Foundation, the Corporation for Public Broadcasting, and the Ford Foundation. The CAAM Fellowship Program is a year-long career and project development opportunity with a focus on nurturing mentor-fellow relationships within the Asian American documentary community, cultivated in partnership with the A-Doc Network. Please don’t miss the opportunity to come to this year’s Ready, Set, Pitch! to watch our fellows pitching their projects to a panel of jurors that will award a $10,000 toward a film project. Jean Tsien has been working in documentary for 35 years as an editor, producer and consultant. Her credits include Academy Award nominee SCOTTSBORO: AN AMERICAN TRAGEDy and three Peabody Award-winning films, MALCOLM X: MAKE IT PLAIN TRAVIS AND SOLAR MAMAS; SOMETHING WITHIN ME; DIXIE CHICKS: SHUT UP & SING and MISS SHARON JONES! Tsien was executive producer and editor for THE ROAD TO FAME, PLEASE REMEMBER ME, and PLASTIC CHINA, winner of the 54th Golden Horse Award for Best Editing. She was also executive producer for PEOPLE’S REPUBLIC OF DESIRE, Grand Jury Award winner at the 2018 SXSW Film Festival; DAZE OF JUSTICE; THE STORM MAKERS for POV/ PBS; THE OSLO DIARIES (2018 Sundance Film Festival); and co-executive producer on CALL HER GANDA and BLOWIN’ UP, which both premiered at the 2018 Tribeca Film Festival. MEET OUR CAAM FELLOWS AND MENTORS Anuradha Rana is an independent filmmaker who has produced and directed award-winning films in India, Ecuador, Japan, South Africa and the US that focus on themes of cultural identity and representation in a global environment. She is currently in production on LANGUAGE OF OPPORTUNITY, which explores cultural identity and immigrant aspirations amongst Indian families, and SNOWDOGS (wt), that follows women mushers in the UpperMidwest. She is an Assistant Professor at DePaul University’s School of Cinematic Arts. Mridu Chandra is a NY based producer of award-winning documentaries and independent feature films. Credits include producing ASK THE SEXPERT (Hot Docs/ Doc World) and OUT IN THE NIGHT (LAFF/ POV); and co-producing BROTHER OUTSIDER (Sundance/ POV), THIS CHANGES EVERYTHING (TIFF), and ELECTORAL DYSFUNCTION (WTTW / PBS). She currently directs IF/ Then Shorts, an initiative developed by Tribeca Film Institute to stimulate the production and multi-platform distribution of short form documentary storytelling. Emily Hong is a Seoul-born and New Yorkraised visual anthropologist, filmmaker and social change strategist who has worked in Thailand and Myanmar for a decade. Hong’s non-fiction films combine feminist, decolonial and ethnographic approaches with impact-oriented storytelling. Her current project features indigenous women and punk rock pastors leading an environmental movement in Myanmar’s North. Hong is the co-founder of Ethnocine and Rhiza Collectives, host of Bad Feminists Making Films, and a member of A-DOC. S. Leo Chiang is a documentarian based in Taipei & LA. His Emmy-nominated film, A VILLAGE CALLED VERSAILLES, picked up multiple awards and aired on PBS’ Independent Lens, co-presented by CAAM. He has received support from ITVS, Sundance, Tribeca, Catapult Film Fund, and Creative Capital. He is a Co-Founder of A-Doc, the Asian American Documentary Network, and a documentary branch member of the Academy. His new film OUR TIME MACHINE is screening at CAAMFest 2019. Pulkit Datta is a producer, director, and writer based in New York City, and working on projects across the US and around the world. He has worked on wide range of international projects, including scripted features, documentaries, commercials, short films, music videos, and multimedia campaigns. He is currently a producer on INVISIBLE, a feature documentary about fibromyalgia, and most recently produced the award-winning short documentary DO WE BELONG?, which was released by The Atlantic. Karin Chien is an award-winning independent film producer and distributor. Recipient of the Independent Spirit Producer’s Award and the Cinereach Producing Fellowship, she has produced films including CIRCUMSTANCE (2011), THE EXPLODING GIRL (2009), THE MOTEL (2005) and ROBOT STORIES (2002). Chien is the founder/president of dGenerate Films, the leading distributor of 70+ independent Chinese cinema, and runs a global production company. Chien is the creator/director of the Nevada City Film Festival Residency supporting Native and Asian American filmmakers. Vicky Du is a Taiwanese-American filmmaker based in New York. Her short film GAYSIANS (Frameline, 2016) screened at 35+ film festivals around the world, had a public TV broadcast on KQED, and was distributed to 1000+ LGBTQ student groups. She is a worker-owner of Meerkat Media and has a BA in Biological Anthropology from Columbia University. Du is currently working on her first feature documentary with support from Points North Institute, CAAM, BAVC and ITVS. Monika Navarro is the Senior Director of Programs at Tribeca Film Institute, where she oversees documentary, scripted, education and interactive programs. Monika comes to TFI from ITVS, where she managed content and funding initiatives. Monika has more than a decade of experience producing for public media, from directing her debut film LOST SOULS (ANIMAS PERDIDA) which premiered on Independent Lens, to producing for World Channel, American Documentary and the Peabody-award winning PBS series LATINO AMERICANS. Self Evident is a new podcast taking on what it means to be American by telling Asian America’s stories. With host Cathy Erway, the show will tackle today’s tough questions about identity, cultural change and nationhood by presenting reported narratives, community conversations, and personal stories. To kick off Season 1, the Self Evident team is bringing these stories to the stage! Join us for an evening of live storytelling, engaging discussion and celebration presented in partnership with CAAM. This is an exhibition of paintings best understood as a counterpart to the film JADDOLAND, directed by artist's daughter, Nadia Shihab. The exhibition continues the examination of themes highlighted in the film, including diasporic longing, landscapes of belonging, familial ties and intergenerational artistic collaboration. The works on display reveal recurring tendencies in Jaddo's practice, particularly the blurring of boundaries between landscapes and the female bodies that occupy them. FRI MAY 17 - SUN MAY 19 | 518 VALENCIA ST.
cinematic achievements in global cinema. beauty inherent to the human experience. reviewers, writers, authors, and editors. who exemplify the voice of a new generation. Asian Pacific Islanders employed by AT&T Inc.
and its wholly owned subsidiaries. Between Clay St. & Sacramento St.
BART. Proud supporter of the Center for Asian American Media and CAAMFEST 2019. All online fees have been eliminated! order. Tickets may be either printed in advance or presented on a mobile device for entry. Will Call. Tickets available for pick up at the box office at the first screening in the order. Please note: tickets purchased in separate transactions will not automatically be packaged together. Standard Mail. Mail orders will be sent within 5 to 7 days of purchase. An additional fee is charged for mail orders. The option to have tickets mailed ends on Wednesday, May 1st. tickets for the films you want to see. 6-Packs can be used in any permutation you choose (e.g., 2 tickets to 3 films, 3 tickets to 2 films). Valid for regularly-priced ($14) screenings only. Skip the lines! The All-Access Pass gives you VIP access to every moment of CAAMFest. This includes all Gala Presentations, regular screenings and any additional ticketed events. You will also receive priority seating for all screenings. Excludes CAAMunity Screenings. sold on a first-come, first-served basis to those in line. Rush tickets will only be sold to those actually waiting in line. One rush ticket per person in the rush line, and there are no guarantees. SEATING AND QUEUES Unless otherwise noted, all seating for CAAMFest screenings and events is general admission, i.e. first-come, first-served, non-reserved seating. Ticket-holder and Rush lines (queues) will be held outside of the venues, please plan accordingly. one hour before first screening of the day. 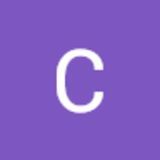 Go to: caamedia.org. Day-of-show tickets may be purchased at all other theater box offices. Have questions? Email us at boxoffice@caamedia.org or call 415.552.5580. THE FINE PRINT All ticket sales are final. No refunds, exchanges or reprints on any purchases. Ticket holder must arrive at least 15 minutes before show time to guarantee entry. CAAMFest is not responsible for lost, stolen or misplaced tickets. We will be unable to admit patrons without tickets. All seating is at management’s discretion. CAAMFest37 program guide is now available! Enjoy the digital version for festival schedule, film details, events, and more!